Each transaction or all cash flow starts with an invoice, and this easy to use invoice template is one of the most basic you can find. Our free invoice template for Excel is a perfect budget-friendly solution for service companies, consultants, and freelancers. 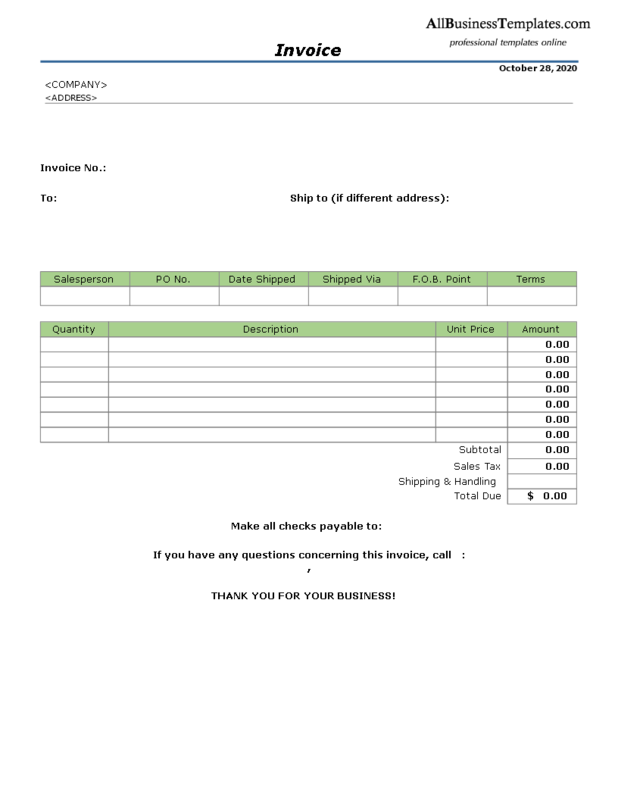 Customize this invoice template for your business, and watch the total calculate automatically. You need an invoice that will make your business look professional and is easy to use. That is our specialty. We have many invoices to choose from, so if the download on this page isn't what you need, browse our other invoice templates or tell us what you need. Feel free to check out one of these free invoice templates, lets you download and create professional-looking invoices instantly. Download this invoice template for your profession in whichever format you prefer (.DOC, .XLS or .PDF) and then simply print and send it. Your clients will be wowed. Try out our online free and premium Professional templates, forms and contracts today. Download our easy-to-use free professional invoice template now!